Classic ceramic knob that will give your drawer fronts that look of sophistication. The white ceramic knob rests on wide brushed nickel base. 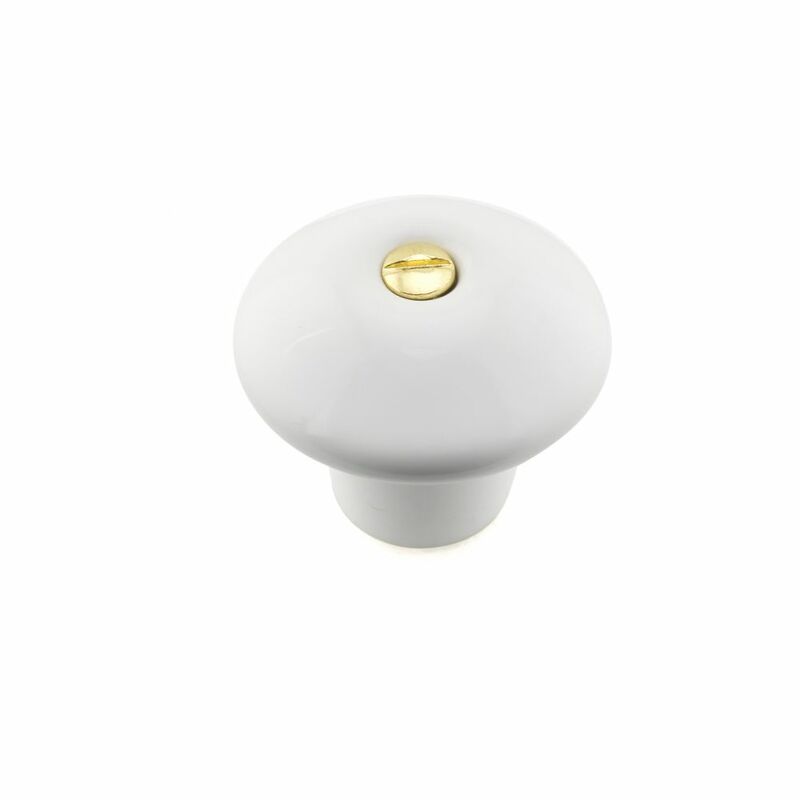 Eclectic Ceramic Knob 1 3/8 in (35 mm) Dia - White - Cherbourg Collection Classic round ceramic knob with central screw detail on knob face. This product will provide a discreet complement to your kitchen or bathroom cabinetry.